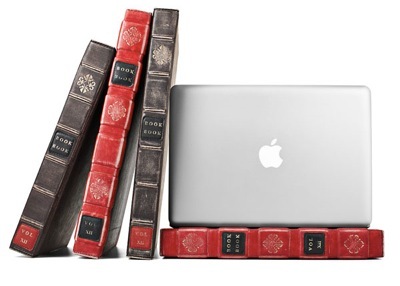 If you happen to love the look of frayed old books, now you can have a MacBook case that looks like one. These leather cases will make it possible to keep your precious MacBook safe, all the while looking great doing it. Plus these cases will make it easier for your MacBook to blend in and be less likely to be swiped while you’re out and about. Each one of these hardback leather cases are one-of-a-kind. The distressing of the book is all done by hand, which gives each one a unique look. It has dual zippers and leather pulls. It also has elastic corner strips so that you can leave the case attached while you’re using your laptop. These come in two different colors, you can pick one up in Classic Black or Vibrant Red. They are available in two different sizes as well, you can get a 13 inch one or a 15 inch. Either one you choose will cost you $79.99 from Twelve South.